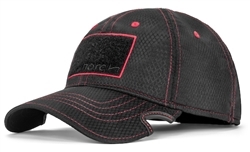 Notch Classic Adjustable Hat Athlete Operator Black/Red was designed with the help of 3 Gun competitive shooter, Janna Reeves. It's a breakthrough design that has proven to be functional, stylish and durable. 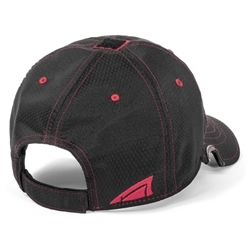 The ultra-lightweight performance fabric will keep you cool and you'll barely notice you're wearing a hat at all. 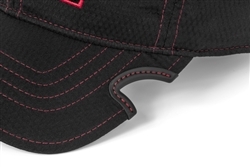 Customize it by adding your favorite patch to the front or just wear it as it is, the choice is yours!